What does Rioja taste like? What does Rioja taste like? This favourite Spanish wine is the topic of today’s video. The taste of Rioja is just one of the five fascinating facts about Rioja wine that are presented. Did you know that Rioja is the name of the Spanish wine-growing region. The grape is actually called Tempranillo. Find out more, and enjoy the film. Hey Tasters! It’s so typical of me to be thinking about wine even at 7 a.m. when I’m making a breakfast smoothie, but all these dark luscious berries are making me think of the berriest wine of them all, red Rioja Reserva. So, today we’re talking about Rioja. 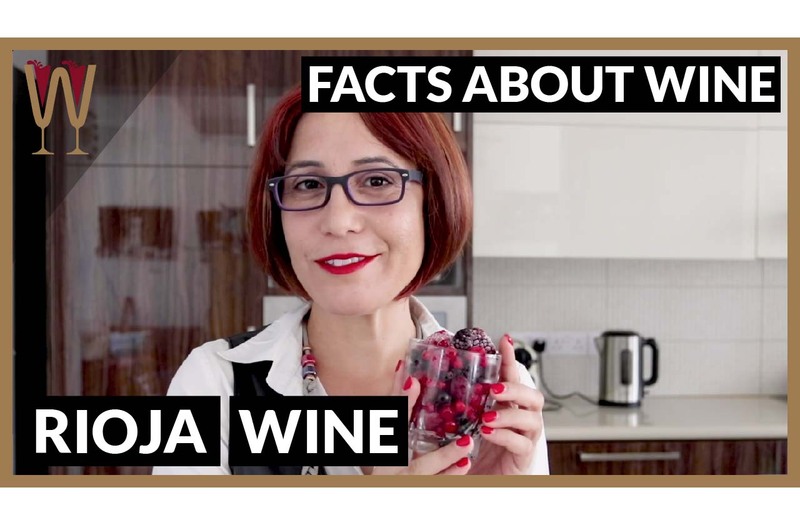 Here are my fast 5 facts about Rioja. What does Rioja taste like? Let’s find out. Rioja is not the name of a grape, Rioja is the name of a region in Spain. The grape used to make Rioja wine is called Tempranillo. It is an indigenous red wine grape variety grown in the Rioja region of Spain, and that’s where the wine gets its name. Rioja was the first region of Spain to gain international acclaim, but other regions are also producing beautiful expressions of Tempranillo. The most notable is probably the Ribera del Duero. Tempranillo is a diminutive form of the Spanish word Temprano, which means early. This is because the Tempranillo grapes ripen much earlier than other indigenous Spanish varieties. Tempranillo is indigenous to northern Spain but it is widely cultivated in much of the country, including as far south as the region of La Mancha. Rioja is cultivated at high altitudes including some vineyards at 500 metres above sea level. Depending on the elevation soils can be clay based or high in chalk and limestone. Rioja is classified as DOC, the Spanish equivalent to the French appellation system that’s used to protect the origin of wine. Rioja was the first Spanish winemaking region to be awarded DOC status in 1991. A wine labeled Rioja Crianza must be aged for at least two years, one of which is spent in oak barrels. But a Rioja Reserva enjoys three years of ageing before it’s released. And a Rioja Gran Reserva will usually be aged for two years in oak barrels and three more years in bottles before it is made available for sale. What does Rioja taste like? At the Crianza level wines are aged in used oak barrels which imparts minimum oak flavours. The tannins are still high but it is an easy to drink fruity wine. However, at the Reserva level grapes used are far more select, and the oak is much more evident. This level is particularly popular because it is the balance between fruitiness and oakiness that appeals to the greatest number of wine lovers. At the Gran Reserva level wines are at least 5 and often up to 10 years old before they are made available to buy. They are made with the most select grapes and aged in oak the longest. At all levels Rioja will taste of dark berries, dark cherries, high acidity, high tannins. All of this oaking and ageing is responsible for dense fruit and a long memorable finish. However, Rioja is food friendly and pleasurable with a wide range of food including, believe it or not, seafood. If you’ve enjoyed these five facts about Rioja wine, leave a comment in the comment section below. Oh, have you subscribed yet?